Fiesta Companion mask is from Gypsy Renaissance's Sequins & Sparkles collection. 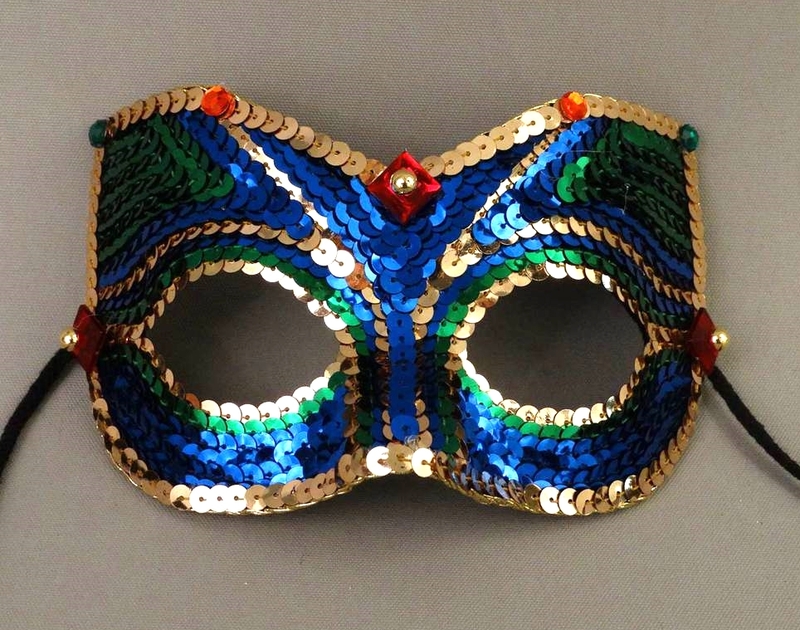 Fiesta Companion is a royal blue mask with emerald green and gold sequin trim. Fiesta Companion mask is covered with royal blue sequins and decorated with gold and emerald sequin trim. Mask is finished with ruby rhinestones and gold cabochons.